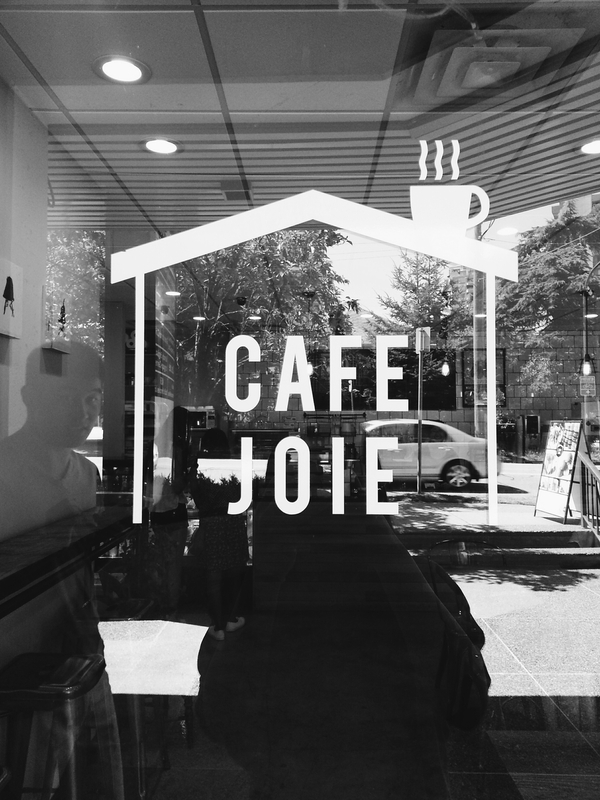 Metrotown is somewhere every Vancouverite has been to, but have you been to Cafe Joie? This quaint cafe is located literally 2 minutes away from the big mall and I have to say it is definitely a gem that I will be going back to. Not only is the interior to my liking, but also the type of food they serve: coffee, sandwiches, and waffles! This is a great addition to the Metrotown area which really lacks in establishments of its kind. We went for a light lunch/tea so I ordered a chicken panini with a nutella latte while my friend went for more and ordered a green tea waffle with a mocha. I'm a bit foggy with the exact prices but the panini was around $8, drinks ~$4 and the waffle ~$10. Kinda pricey if you ask me but if you factor in the amazing atmosphere of the place, it all makes sense after a while. The panini was nothing really amazing - I wish it was grilled a bit more for a better crunch from the toast; the cheese and chicken inside were nice and soft though. A little salad and a few crackers on the side decorate the plate but sadly, it was still not as filling as I would have liked it to be. The green tea waffle on the other hand was much more promising although it did take a while to make from scratch. A large light and fluffy waffle topped with two generous scoops of green tea ice cream and an assortment of fruits with whipping cream .. yum. It wasn't as sweet as I had expected, which is a good thing. A great choice to order for tea. The drinks weren't bad, although the blends weren't as strong as I would have liked. However, I liked how my nutella latte didn't taste like sugar water. A light shot of espresso and milk with a bit of nuttiness hits the spot just right. The food may not be spectacular, but presentation really excels here both with the food and the store itself. 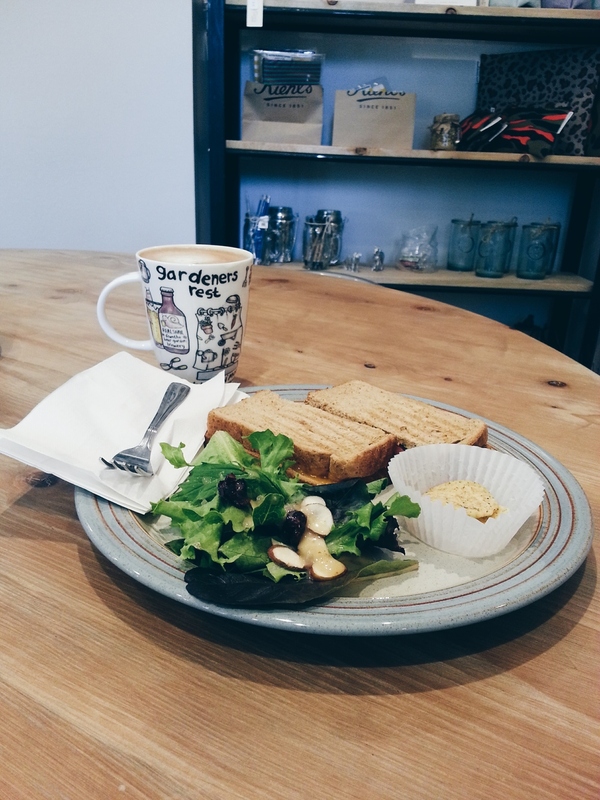 The plates and cups are all different but somehow all contribute to the homey feel of the cafe. I absolutely love the wooden tables, little trinkets on the shelves, the rustic water holder, and the mass amounts of natural lighting from the large windows. It was nice and quiet during my stay though I'm not sure if it gets busy at other times. It's a shame I don't live anywhere near Cafe Joie, but if I did I would be coming more often than my wallet could handle haha. R E V I E W.